Quality Window & Patio Screens - Longhorn - Screens. Shades. Shutters. When the weather turns nice, there’s nothing more pleasant than opening the windows of your house or sitting on a screened in patio. Any breeze outside will waft through your windows, and the air will make everything in your home smell clean and fresh. However, you do not want bugs entering your house along with that outside air. To prevent this, you need quality insect screens on your home. 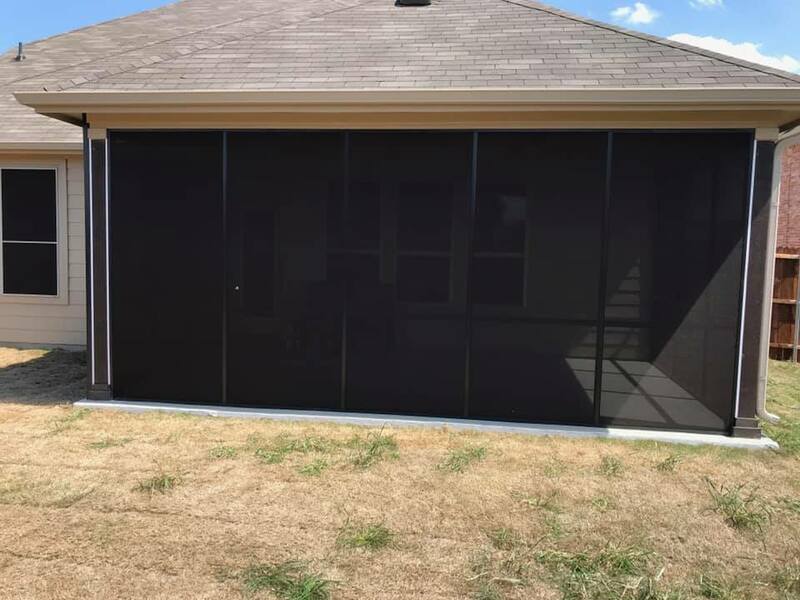 Screens made from fiberglass woven from permanent glass yarn–which is merely material composed of glass fibers twisted from continuous filament strands–will provide the quality and protection that you need. Coated with a protective vinyl, you won’t find a better design for a screen that will keep out all of those nasty bugs while still letting in the air that you want. With quality screens such as these, you can take assurance that the color will last. The flexible material will create a tight seal regardless of the shape of your windows. The screens won’t stain, rust, or corrode either. Because of these features, your insect screens will remain in good working order for many years to come, and they will look gorgeous on your windows. Insect screens come in a variety of colors so that you can coordinate them more easily with the exterior colors of your home. Choose a bright white for a lovely contemporary look or mill for an ultra-modern style. Tan will look fabulous with a house that has traditional features. Champagne works well for homes with a transitional design. You can even select insect screens in bronze for a sophisticated look. For additional information about getting insect screens on the windows of your home, please contact us today. We’re a family-owned and operated business with multi-skilled staff members. We believe in personalized service at affordable prices to give you the best outcome possible.